This entry was posted in Birmingham City FC, Football and tagged Birmingham City F.C., Football, Liverpool FC, TV money on February 15, 2016 by Puddleglum. This entry was posted in Birmingham City FC, Football and tagged Birmingham City F.C., Football, Liverpool FC on February 8, 2016 by Puddleglum. This entry was posted in Birmingham City FC, Football and tagged Aston Villa, Birmingham City F.C., Football, Liverpool FC, Manchester United F C on September 11, 2015 by Puddleglum. 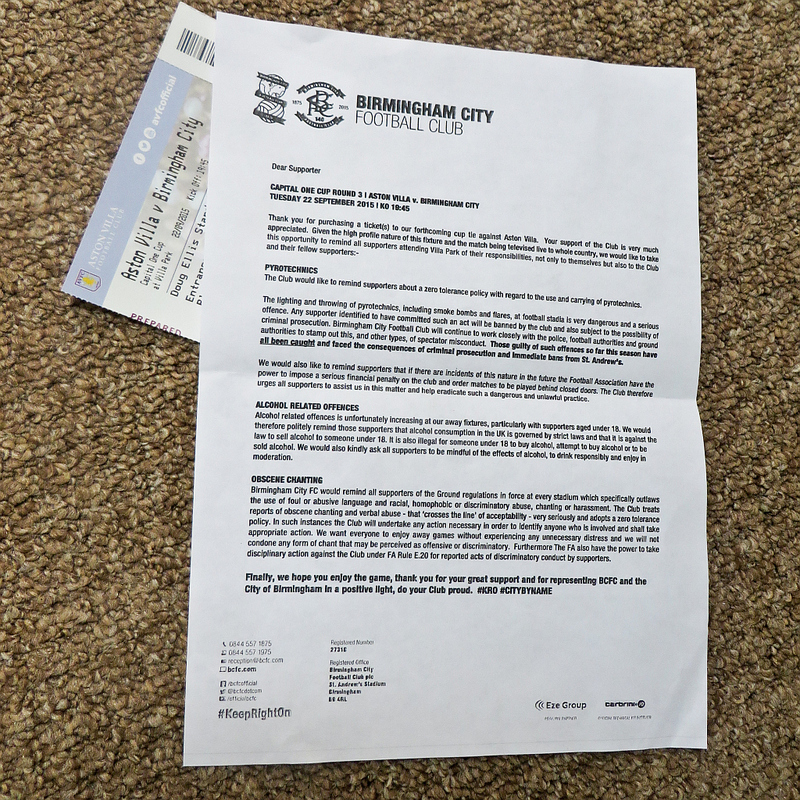 This entry was posted in Birmingham City FC, Football and tagged Birmingham City F.C., Football, Hillsborough, Liverpool FC on April 16, 2014 by Puddleglum. This entry was posted in Birmingham City FC, Football and tagged Birmingham City F.C., Football, Hillsborough, Liverpool FC, Manchester United F C on March 17, 2014 by Puddleglum. Someone in the Liverpool Supporters’ Union is good with words. The title of this post is one of their slogans and for me it sums up a very important message. If fans stopped going to games, the football entertainment product being sold to Sky wouldn’t be worth much. I also like the name of the group, Spirit of Shankly; the acronym, SOS, seems very appropriate given the parlous state of football today. This entry was posted in Birmingham City FC, Football and tagged Aston Villa, Birmingham City F.C., Football, Liverpool FC, Spirit of Shankly on May 10, 2013 by Puddleglum.